This glorious estate dates back to the Domesday Book; the architecture there now is 17th and 18th century. Tudor house with superb collections, garden, quay and estate. Cotehele was the ancestral home to the Edgcumbe family for centuries. Trek through the world's largest indoor rainforest. A historic house and medieval garden all set within an ancient and atmospheric estate. 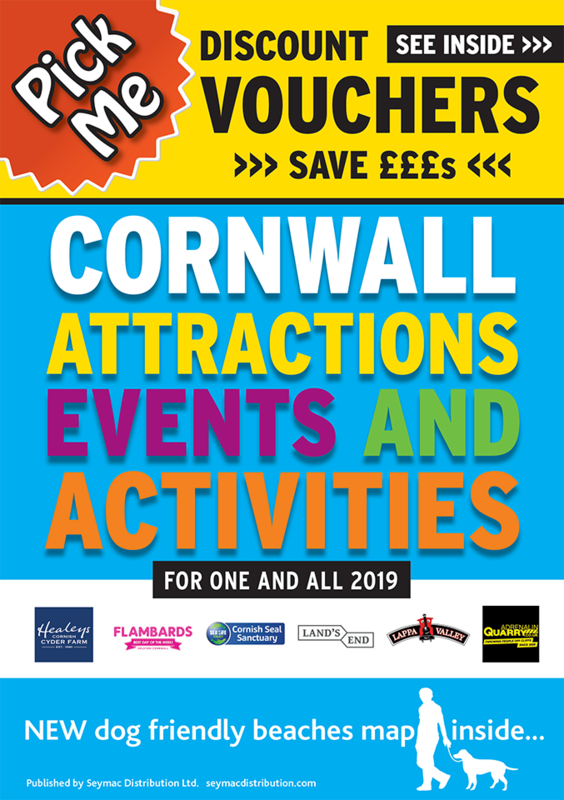 An extraordinary adventure park offering great family entertainment, whatever the weather, in beautiful Cornish countryside. Magnificent late Victorian country house with gardens and wooded estate. A perfect country house and estate, with the feel of a wealthy family home. Pencarrow House and Gardens lies at the foot of a sweeping valley between Bodmin and Wadebridge in Cornwall. Explore one of Henry VIII's finest coastal fortresses with fantastic family events & breathtaking 360 degree views over Falmouth town and out to sea. Discover the legend of King Arthur in the dramatic setting of Tintagel Castle, located on the north Cornwall coast and offering stunning views. Trebah Garden is a sub-tropical paradise with a stunning coastal backdrop, set within one of Cornwall’s Areas of Outstanding Natural Beauty. Tranquil varied garden in fabulous position, with a superb collection of tender and exotic plants. Sheltered garden bursting with exotic trees and shrubs. Trengwainton’s 25 acres invite you to explore – and come back for more. A glorious 15 acre spring garden near Penzance with a magnificent collection of camellias, magnolias and rhododendrons.